There can be few ironies in life compared with the following story. As a film maker in my spare time, I realise that the best laid plans can often go awry thanks to the tendency of real life events to play out in unpredictable and surprising ways. 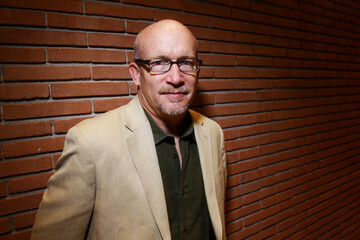 This is exactly what happened to Oscar-winning film maker Alex Gibney when earlier this year it looked as if his world had fallen apart. You see, Gibney was in the middle of making a documentary film, narrated by Hollywood ‘A-list’ Matt Damon, about the seven- times Tour de France winner Lance Armstrong and his triumphant battle against cancer to reach the pinnacle of his sport. Except of course it was all a big lie as Armstrong shattered the illusion that he’d so carefully cultivated over a 20-year period when he gave his staged-managed ‘TV confession’ to Oprah Winfrey in January this year. In an act of breath taking cynicism and cunning on a scale few had ever seen before or indeed since, Armstrong had bullied his team mates, collaborated with medical cheats and hoodwinked the world governing body and ultimately millions of fans around the world whilst banking millions in sponsorship fees. Armstrong thought he’d ‘come clean’ by confessing to the use of banned performance-enhancing drugs throughout much of his cycling career. He admitted that he used erythropoietin and a human growth hormone and that he’d blood doped as well as falsified documents saying he passed drug tests. Doping helped him for each of his seven Tour de France wins, Armstrong told Winfrey. According to USADA, samples from Armstrong taken in 2009 and 2010 as well are “fully consistent with blood manipulation including EPO use and/or blood transfusions”. Meanwhile, what had been planned as a documentary about Armstrong’s comeback following his retirement in 2005 looked like being left in ruins. Gibney and his crew had painstakingly followed Armstrong for the best part of a year, shooting Armstrong’s rides in the 2009 and 2010 tours with an array of cameras and ended up with 200 hours of material for their efforts. The project was temporarily put ‘on hold’ in 2011 when doping allegations against Armstrong started to surface and the hope was that the documentary would be completed when these blew over and Armstrong was exonerated. But when Armstrong finally came clean about his cheating, Gibney considered scraping the whole project altogether. Then he had a rethink. “I felt we had something in that 2009 material that was very powerful, for reasons we didn’t necessarily understand at that time. In making his comeback Armstrong allowed cameras along for the ride so you can see the myth-making machinery in action. Both what’s real about it and what’s fake about it. That footage allows you a front row seat for the Armstrong lie,” Gibney told Screen International. This gave birth to a new documentary, The Armstrong Lie that has been just as successful as Gibney’s previous work that includes the 2007 Oscar-winning documentary Taxi to The Dark Side and We Steal Secrets: The Story of WikiLeaks that was released this year. Using the old footage in the new version meant continuing a deal under which Armstrong got, in return for granting access, a cut in the film’s back end. Gibney said that deal didn’t become an issue because the arrangement was always that Armstrong had no editorial control. “There was only one thing we had to do, which was to offer him the opportunity to respond to any allegations of drug use, which I would have done in any event,” says Gibney. Creating the new context meant filming additional material – including interviews with Armstrong and others shot after the cyclist’s confession – and Gibney himself appears as a character in the film.